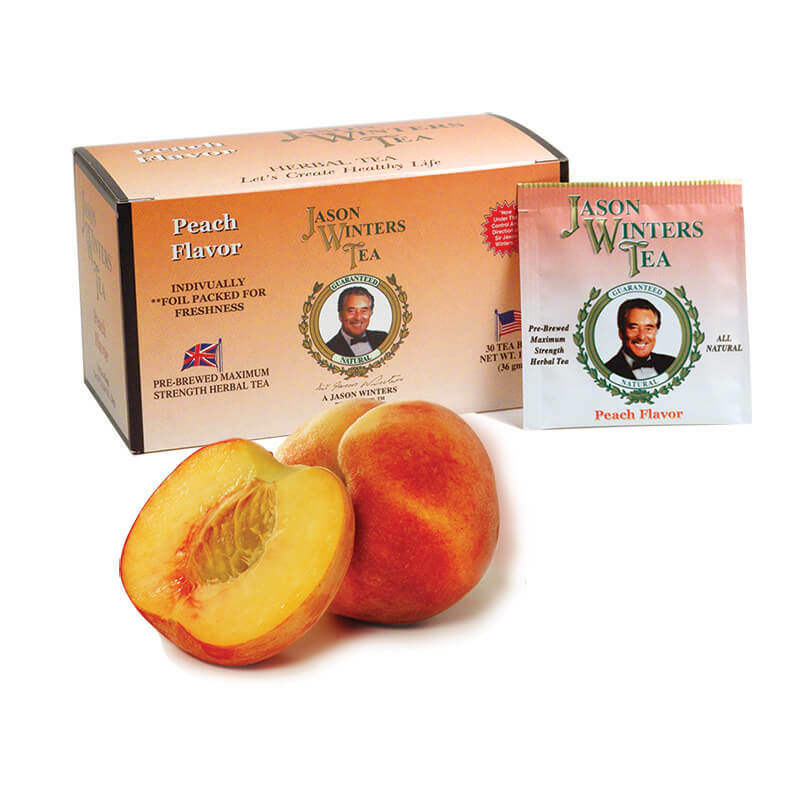 Contains the original formula as used by Jason Winters, PLUS all natural flavors! 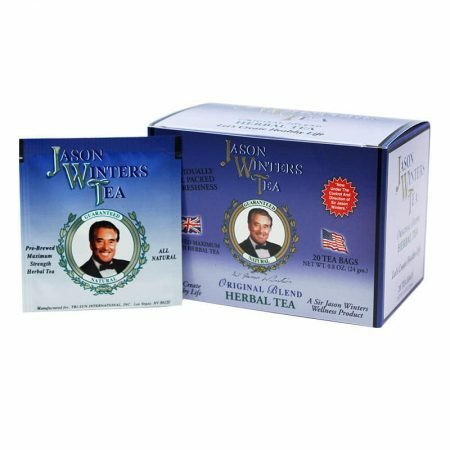 Contains: Red Clover, Indian Sage Leaf, Oolong Tea Leaf, Herbalene® Blend (special spice), Natural Flavors. Naturally occurring caffeine. 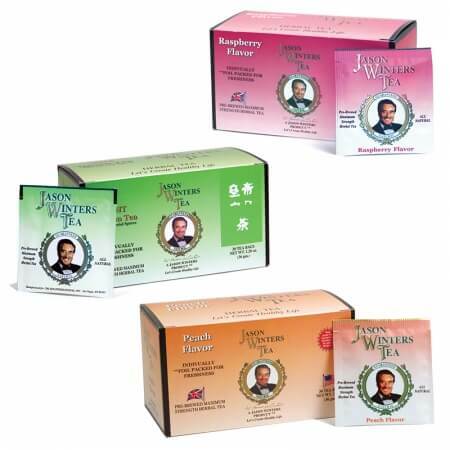 Flavored tea bags are now available either unsweetened or naturally sweetened with Stevia! Same great Jason Winters Formula with a hint of all natural peach flavor! I just started drinking the peach tea for my periods. I have been passing a lot of clots and having a lot painful cramps. After I drink the tea it helps it from hurting so bad. 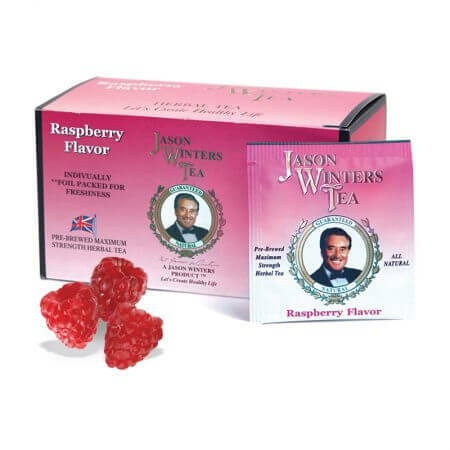 I’ve enjoyed Jason Winter’s tea for years! My favorite is the cinnamon but it’s all good! If I start feeling bad I drink tea right away. It really helps.